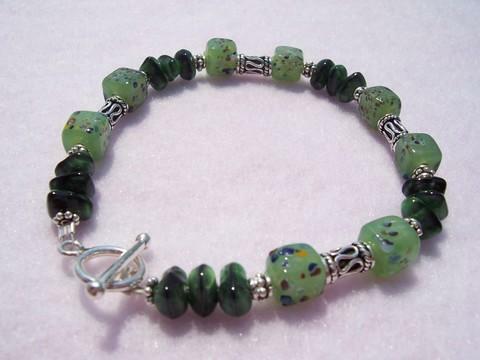 Bali silver mixed with speckled green beads and hunter green glass. 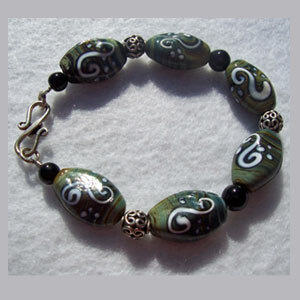 The toggle clasp matches the pattern of the Bali Silver barrels. 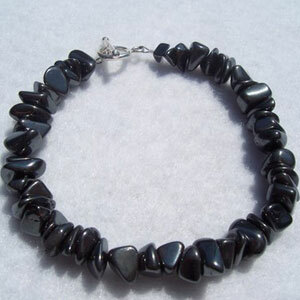 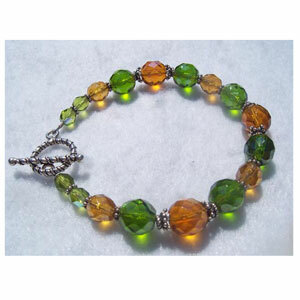 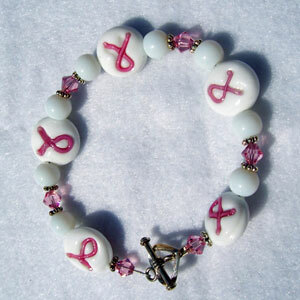 Green is the “in color” this year, and this bracelet is a best seller!